Category Archives: Just for you! 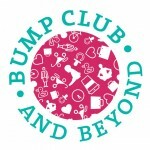 I wrote about Bump Club of Austin a couple weeks ago and how much I loved their events, oh! and how I won a BOB Revolution stroller! If you want to read it again here’s the post. They are having another Expectant Mother Dinner on Monday, September 10th 7:00-9:30pm at Mandola’s Italian Market, 4301 W William Cannon Bldg E-1 Austin, TX 78749. 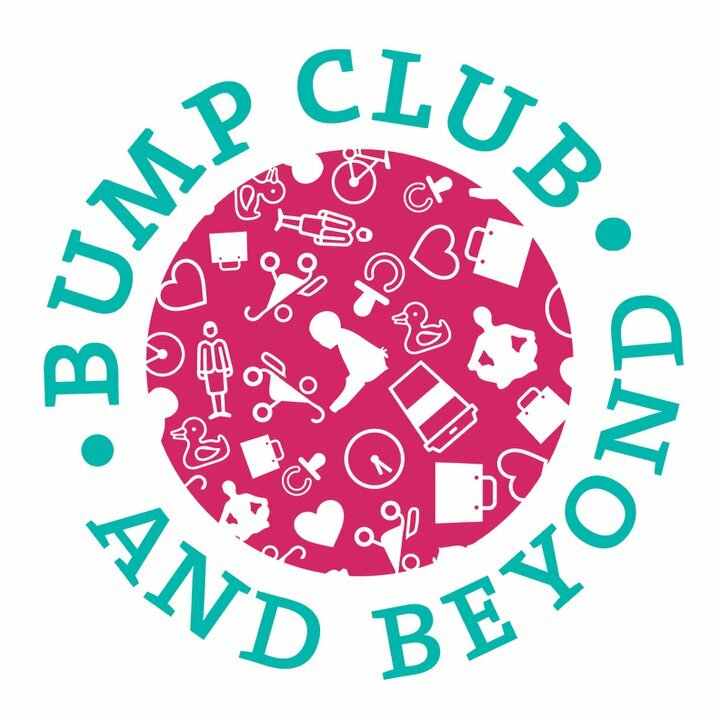 Join us for dinner as one of Austin’s favorite lactation consultants, Cathy Clark, BSN, IBCLC, RLC from A Baby’s Best Start teaches how to become comfortable with breastfeeding. Many experts agree that a breastfeeding class is of the utmost importance as you prep for your baby’s arrival. Amazing giveaways and everyone goes home with a gift bag of products for pregnancy and beyond! Pre-sale tickets available now until August 20th for $10 off! Elf Cosmetics over $100 FREE Makeup!!! For 2 days only, get 50% off Studio products with orders of $20 or more from e.l.f. cosmetics! Use code BDSTUDIO, valid 7/19-7/20. This week, customers can get the e.l.f. Studio Endless Eyes Pro Eyeshadow Palette absolutely free, a $100 value, when they spend $20 or more! Take advantage of this offer now through 7/23. This offer is valid with coupon code BD100. *HOT* Scrapbooking Guaranteed Mystery Box 250 Packages in each (5000 pcs) $39.99 ($750 Value) + FREE Shipping! Calling all you Scrapbookers out there, I have a super HOT deal for you!! 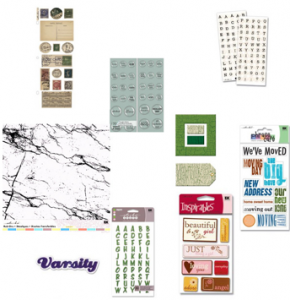 Today Graveyard Mall is offering a different type of mystery box that will be filled with Scrapbooking items for just $39.99 + FREE shipping (a value of $747.50!)!! You will get 250 packages of scrapbooking goodies (approx 50 different styles with 5 of each style) totaling around 5000 individual pieces. Each box may differ slightly, but not greatly. Sample of some items shown in photo represent actual items. The GREAT thing about this offer is that if you are not happy with the mystery box, you can return it to Graveyard Mall and they will pay you back and even refund your original shipping charge (so you really don’t have to pay anything at all!). The quantities are limited and these go fast so get yours now while they’re still available. 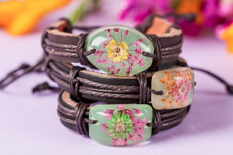 Sneakpeeq – Gorjana Wrap Bracelets 60% off! We love jewelry that both stands out worn on its own AND looks amazing stacked into wrist parties. Gorjana wrap bracelets fit the bill perfectly! You can now style your arm-find Leather Bracelets featuring a pave crystal bar or Leather Studded Triple Wraps that will toughen up any look at 60% OFF!!! 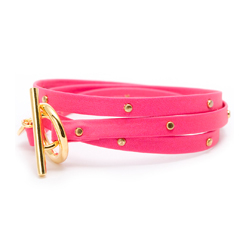 These Leather Bracelets retail or $55, but your price is only $24! Get one in neon to really lead the trend! SHIPS FREE! *HOT* FREE Beauty Without Cruelty Nail Polish, 2 FREE Bamboo Rings, and a FREE Eternal Summer Bracelet! UPDATE – They changed the deal so now you will pay $5 but you will get everything for just $5! Wow! I have a sweet way for you to get a FREE Beauty Without Cruelty nail color, 2 FREE Bohemian Rhapsody Bamboo Rings, and a FREE Eternal Summer Bracelet! Become an Avon Representative TODAY!!! Whether you’re entering the workforce, returning after the kids are grown, or just want to be your own boss, becoming an Avon Independent Sales Representative offers unlimited opportunities. Even if you’ve never sold a product before, you can do it – with Avon. As the world’s leader in anti-aging skincare, fragrances and color cosmetics, we make it easy for you to sell and succeed, right away. Avon is a proven path to success for millions of Representatives around the world, from all ages, cultures and walks of life. Ready to get started? Apply now and you will be contacted shortly. 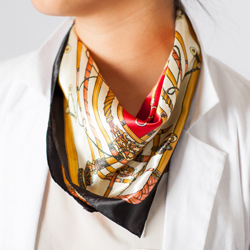 Sneakpeeq – FREE Silk Scarf With Purchase! + Free Heart Pendant! Weekend SURPRISE! EVERY order on sneakpeeq today comes with a FREE Gift With Purchase! And the gift is MAJOR: a versatile silk neck scarf. Katie Holm’s stylist says “I love collecting scarves to wear on my head, as a top, as a wrap, or to frame as art.” We wholeheartedly agree! To score this versatile accessory, use your FREE $10 New Member Credit and snag a cool find (including beauty, jewelry, apparel, and home fashion)! Totsy: Peace Love Mom 53%off!!! Right now, new Totsy members can get PeaceLoveMom shirts at 53% off plus free shipping! This company has really clever and cute designs. 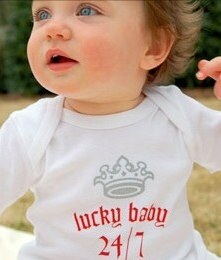 They currently have several maternity shirts as well as infant bodysuits up to 12-18 months. These would make a great baby shower gift! Act fast, sale ends tomorrow morning at 8am CST. Beauty Box, awesome samples and cosmetics right to your door!!! Beauty Box 5 delivers a monthly Beauty Box with 4 – 5 cosmetic samples directly to your door for a small monthly fee. Your beauty box includes a variety of packet samples, deluxe samples, and full size product. You’ll be introduced to innovative products and beauty must-haves without having to pay the retail value. Try before you buy and you’ll never buy the wrong products again. Make Your Own Kits 70% off! 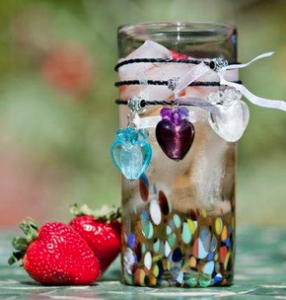 Kids Crafts and Projects + Free Pendant! School’s out and it’s party time, especially for the kids! 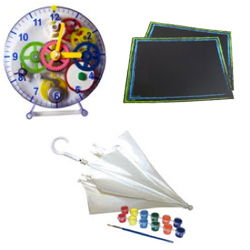 Whether your idea of partying is getting creative, making delicious food or making music, sneakpeeq has kits to Paint Your Own Umbrella, Make Your Own Clock, decorate your own Chalkboard Placemats; all for 70% off! These KITS retail for $22, but your price is only $7! SHIPS FREE! If you’re not a member yet, Sneakpeeq has another FREEBIE + FREE shipping! You can score a FREE $10 credit when you sign up here. 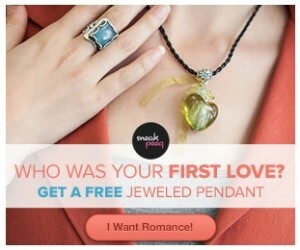 Then click on the “Jeweled Heart Pendant” earrings and you will get them for FREE (a $62 value!) + FREE shipping and have a $10 credit leftover. Update - The old offer was for a voucher to take to the hospital but now it is being sent via snail mail. 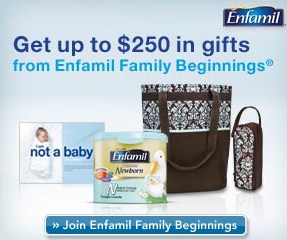 + Coupons for Lysol and Enfamil products! 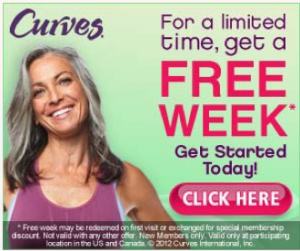 You will just need to sign up here and then on one of the “offer pages” you will see the image shown below (feel free to skip over other offers until you see the one below) then accept this offer! Sneakpeeq is at it again with another great deal + FREE shipping (for new members)! If you are a new member, you can score a FREE $10 credit when you sign up here. 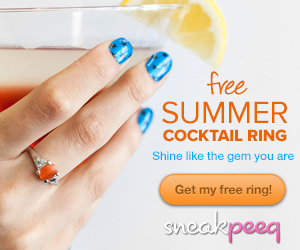 Then click on the “Summer Cocktail Ring” sale and select your ring which is a $37 value and you will get it for FREE + FREE shipping. How cute are these?! 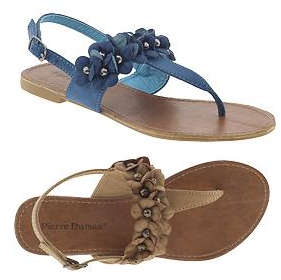 You can currently get these Pierra Dumas Sandals from Piperlime for just $14.99 + FREE shipping (reg. $25.00!). Just GO HERE to ShopAtHome.com and click on the “Buy Now” button. You will just have to pay $19.99 + FREE shipping at checkout BUT you will get back a $5.00 Wild Cash Back Rebate from ShopAtHome.com making these just $14.99 shipped!